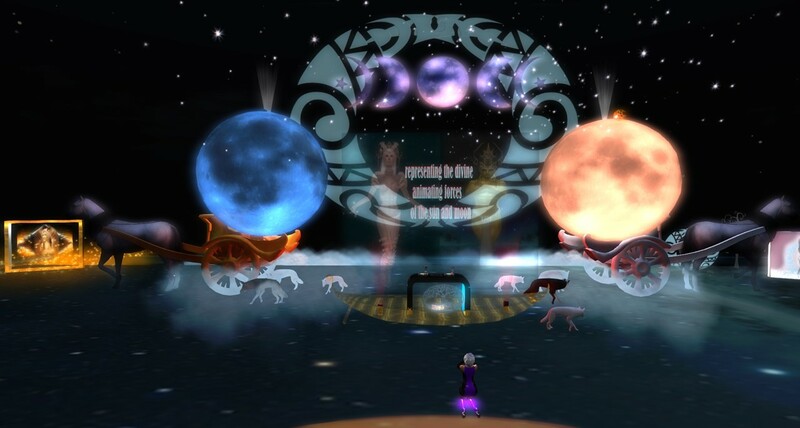 Scrolling through the SL Desination guide I came across Sol and Mani, an art installation of Fifi Candyfloss Oh (siouxsieincognita). Sol is the Goddess of the Sun and Mani is the God of the Moon in Norse/Germanic mythology. 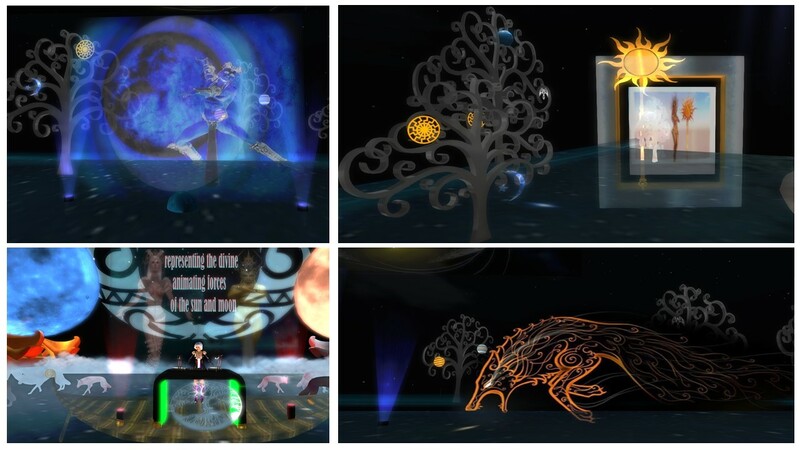 Sol and Mani is an event place the main area is surrounded by sculptures of trees, displays of Sol and Mani in their chariots that are chased by wolfes. As some of the displays ar semi transparent you get different effects just depending from where and at which angle you look at them. Embedded in the (main?) display is the desk for the disc jockey and I took this place just for a picture. I don’t know if Sol and Mani was buildt as a background for just one event, which was on July 8th or if there’ll be more events to come. 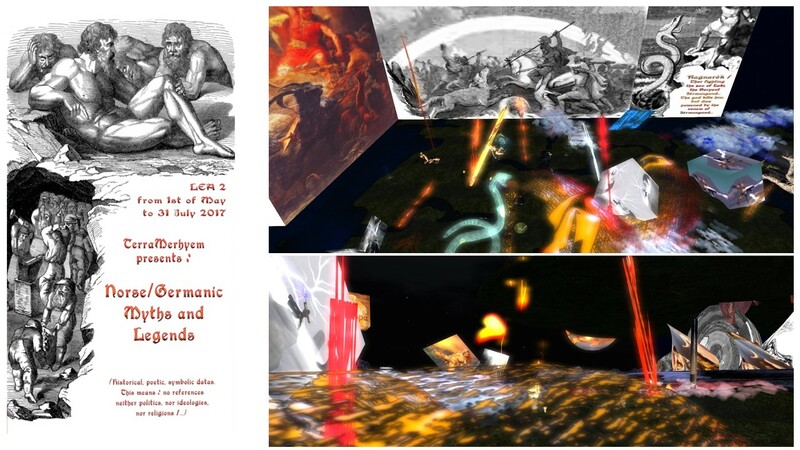 Sol and Mani is embedded into another exhibition at LEA 2 by TerraMerhyem, who presents Norse/Germanic myths and legends. And Fifi Candyfloss Oh contributed to this exhibition, as far as I understood. This exhibition ends July 31st, so there’s not much time left to see it. And most probably also Sol and Mani will end July 31st then. I added just a few impressions of TerraMerhyem’s exhibition. It can be reached by a teleporter pad at Sol and Mani.